Size of this preview: 800 × 450 pixels. Other resolutions: 320 × 180 pixels | 2,169 × 1,220 pixels. Description: General notes: Use War and Conflict Number 120 when ordering a reproduction or requesting information about this image.Use War and Conflict Number 121 when ordering a reproduction or requesting information about this image. 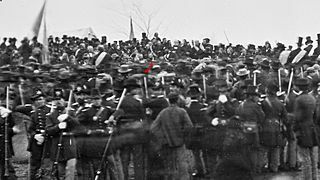 Title: Crowd of citizens, soldiers, and etc. with Lincoln at Gettysburg. 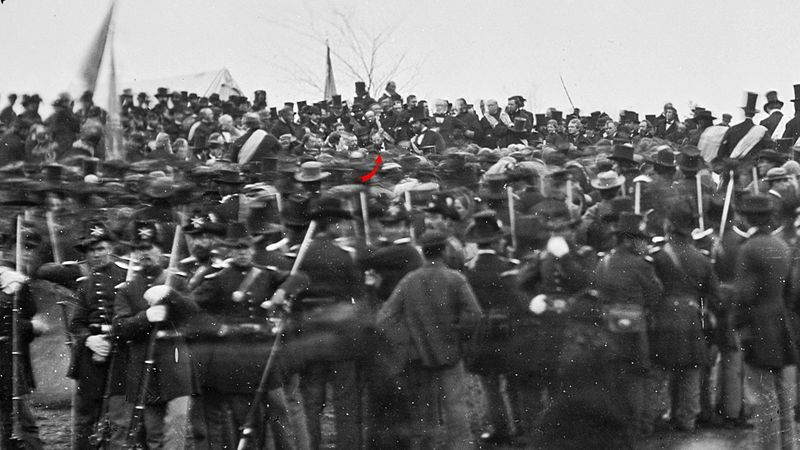 Cropped, with red arrow pointing to Abraham Lincoln.